Ke Nova (Kati Gleiser) is an internationally recognized concert pianist, soul~full vocalist, and computer music artist. She has performed Coast to Coast throughout North America and as far as Shanghai, China, in venues ranging from barns and cafes to elite concert stages, including the Kennedy Center. She has also appeared numerous times on NPR, including a weeklong segment on Performance Today. As a pianist, Kati is a National level prizewinner, at the Canadian Music Competition and the Canadian Federation of Music Teachers Association (CFMTA) Competition, and was a finalist at the Canadian National Chopin Competition. She performs internationally as a soloist with orchestra, recent performances including Beethoven Fourth Piano Concerto with Mississauga Symphony and Rachmaninov 2nd Piano Concerto and Prokofiev 3rd Piano Concerto with the Georgian Bay Symphony. She is a regular performer at the distinguished Sweetwater Music Festival and the Kincardine Summer Music Festival. Kati is a pioneer of contemporary music, having commissioned new electro-acoustic piano repertoire. She has performed at the Society for Electro-Acoustic Music in the United States (SEAMUS) and at the New York Electro-Acoustic Music Festival at CUNY (New York University) (2010), and solo performances at the University of Miami, the University of Chicago, and at Electric Eclectics, an internationally recognized experimental computer music festival in Meaford, Ontario. 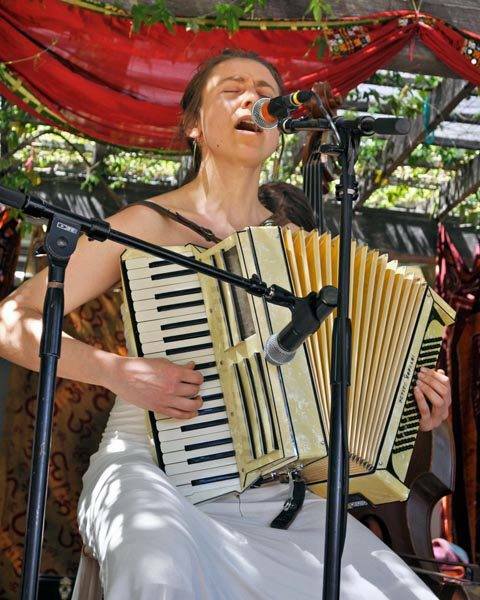 Kati is featured on SEAMUS and INNOVA record labels, performing works written for her. Her doctoral thesis, “Harnessing the Piano’s Voltage” examined contemporary works at the cutting edge of technology. An accomplished singer, Kati's voice formed the core electronic component of Ayin Shel by the Israeli composer Iddo Aharony, performed by the Grammy-Award winning Eighth Blackbird, at the University of Chicago (2010). Her solo piano improvisations form the soundtrack for Stephen Moss’s film The Summer of ’99, which was awarded the Best Canoe Film at the Reel Paddling Film Festival (2007) and was shown at 42 cities across Canada and the US. Kati recently completed another powerful film with Moss, called Nigiwe, "Going Home", documenting the struggle of Native Americans against logging operations in unceded lands in Northern Quebec. Kati holds a Doctorate of Music in Piano Performance from Indiana University, under the mentorship of internationally celebrated pianist and pedagogue, Menahem Pressler.